A rangy southpaw with blazing speed, an awkward style, and a little bit of pop, Andrade (22-0, 15 KO’s) was once considered a can’t-miss, rising star and at just 27 years old he still has plenty of time left to turn his ship around. Andrade was recently spotted in Las Vegas this past December and we caught word that he was actually putting in a little bit of work during his visit. 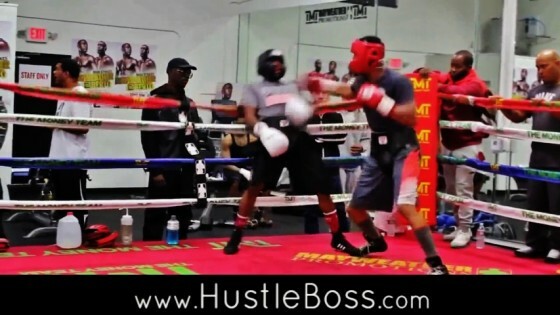 Check out the video below for a look at Andrade sharing some time in the ring with undefeated prospect Will “Knockout” Clemons (3-0, 2 KO’s). Short clip, but the work was pretty brisk.